Christmas time is coming and with it the consumption of typical Christmas products: champagne, marzipan, nougat or turron, grapes, toys, lottery… This is the reason why VIPEX Consulting would like to devote a wink to this time and focus this post on Christmas and turron industry. No one doubts that Spain is the first nougat producer in the world with a national demand of 87.5%, although in 2012 exported more than 12.5% of production. Strength: It is a stable market. Weakness: It is too dependent on domestic demand, determined as well by seasonality. That makes the export will become a great growth opportunity for each month. Numbers are conclusive: in 2013 nougat production for export increased by 30%, mainly due to the impact of new markets and the producers are aware of this. The newspaper “El Mundo” collects the perspectives of the sector, which “expects a 3% growth this Christmas“. We will have to wait to the end of the campaign to obtain confirmation of these figures. In addition Spain is one of the main tourist destinations in the world. People who come to visit us taste our typical products including turron. That is why more and more people know and demand it in their home country. Germany, France, Portugal, United Kingdom and Andorra are the main target markets, although more and more new markets such as China, Japan, Australia and especially the Arab countries with Saudi Arabia to the head, are reaching greater role. It is a fact that eating nougat outside the Spanish borders is increasing every year, so the United States, Mexico, Colombia, Paraguay, Uruguay, Panama, Cuba and Guatemala, the Eastern Europe countries and Russia, must be added to the list of major foreign markets in terms of consumption. Nougats, for its quality and its artisan elaboration process, are associated with the concept of healthy eating linked to the Mediterranean diet. And these characteristics of nougat match perfectly with the current consumer trends in which people increasingly appreciate the healthy ingredients. 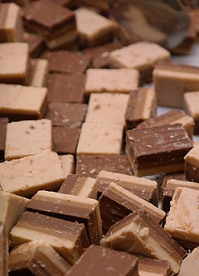 In this context the “turron for all“, with an ever wider choice, the export trend is favorable. Do we take advantage of the brand Spain pull and the good perception / reputation of Spanish products to overcome the seasonality of nougat?